As well as buying and selling caravans in Northern Ireland, Tricam Caravans offer a professional Servicing and Repairs Facility at our premises in Dromore. Whether your caravan was purchased from us, or you have a complaint with your current caravan please do not hesitate to contact us and our qualified service engineer will be happy to arrange a suitable time and date to assist you. 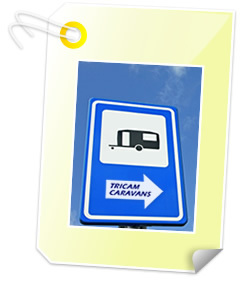 We at Tricam Caravans have excellent Damp Repair Facilities, with all work fully guaranteed. Our staff have a wealth of experience and so you can rest assured your caravan will be in the best hands. To book your caravan in for a repair or service please contact us to arrange an appointment at our premises.